Bravo, good choice dear IOC (International commite of cash). The Winter Games in 2018 take place in the South Korea city of Pyeongchang. In no Asian state so many dogs and cats on the food plate land. Differently as for example in China or the Philippines not the poverty does the population to the dog meat, but are looked as a delicacy. Only recently a big dog festival with which again hundreds of four-legged friends left her life was organised again in a Korean town. In so-called dog farms the animals are fattened under the most dreadful relations up to the battle maturity, are killed around then under very crude conditions and to be processed. Why the cruel and protracted ones kill of the poor creatures? The meat thereby becomes supposedly more tender and increases with the male consumer the sexual strength. For the rest, few of the numerous tramps on the menu also do not land. Certainly, also with us animals are partially held under not so good conditions and afterwards are killed and killed. Only it is with our protection of animals law in such a way that, besides, every unnecessary sorry one is to be saved the animal. We urgently advise the non-Asian participants with the Winter Games to bring her meat from the native country. 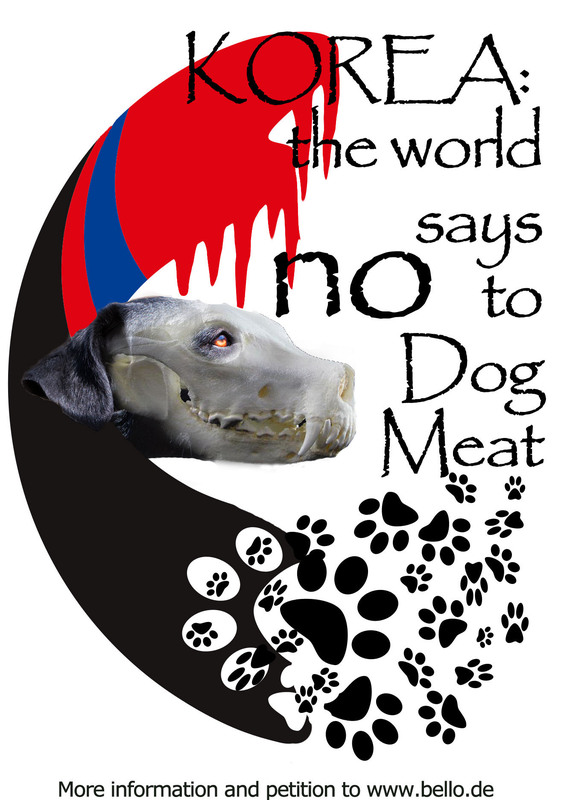 We hope very much that the athletes cannot be thrilled in addition the dog meat sometimes to try and to promote this cruel tradition. We from bello.de appeal for the boycott of the Winter Olympics in Pyeongchang, as long as just one dog or cat lands there on the plate. It may not be that in such a country international plays take place – and at the same time, deliberately and deliberately animals are tormented to death. Verhungern und verdursten - das Schicksal der Tierheimhunde Botosani? Starvation and thirst - the fate of the shelter dogs Botosani? Was kannn jeder einzelne für die Streuner tun? Warum setzen wir uns so stark für die rumänischen Hunde ein? Tierschützer in Rumänien - Vom Staat und der Hundemafia bedroht! Der Protest bringt doch auch nichts? !